As an Asian, I seldom eat burger. We basically have burger when we frequented worldwide fast food chains such as McDonald, Kentucky Fried Chicken, Burger Kings and etc. However, at times, I do have urge to have this Western comfort food. As I am not taking beef, therefore, it is hard for me to buy the ready made burger patties sold in the supermarket. In fact, I do not have much choices to choose from since most burgers are beef based. So I can only have burger made from chicken like KFC’s Zinger or Colonel Burger. 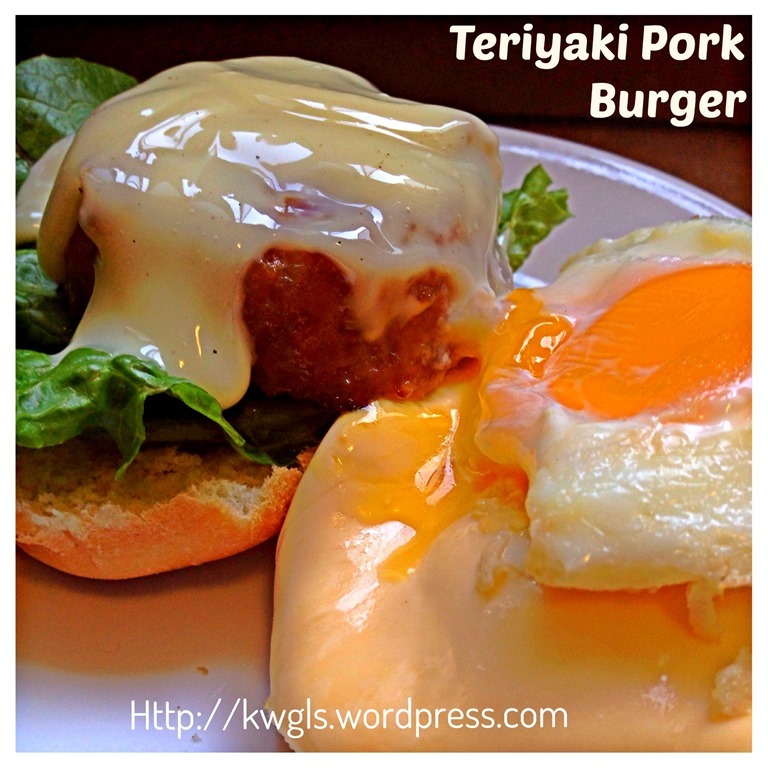 I do not have the chance to eat pork burger since most Malaysian and Singapore fast food outlets are “Halal” outlets meanings no selling of pork related products because of Islam. 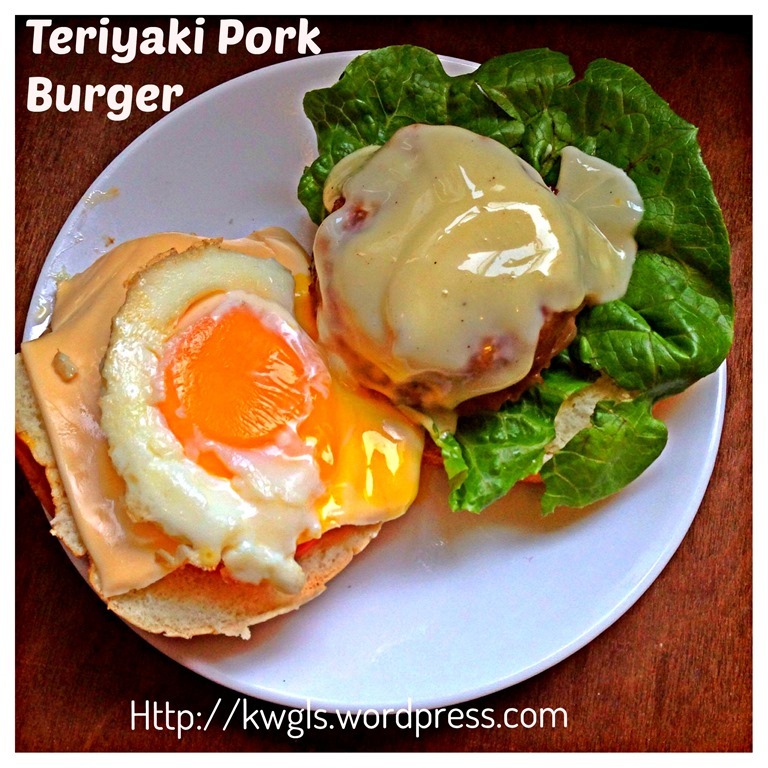 Therefore, I have decided to prepare it my way… marinate the minced pork with some Japanese teriyaki sauce and come out my very own version of Teriyaki Porky burger.. 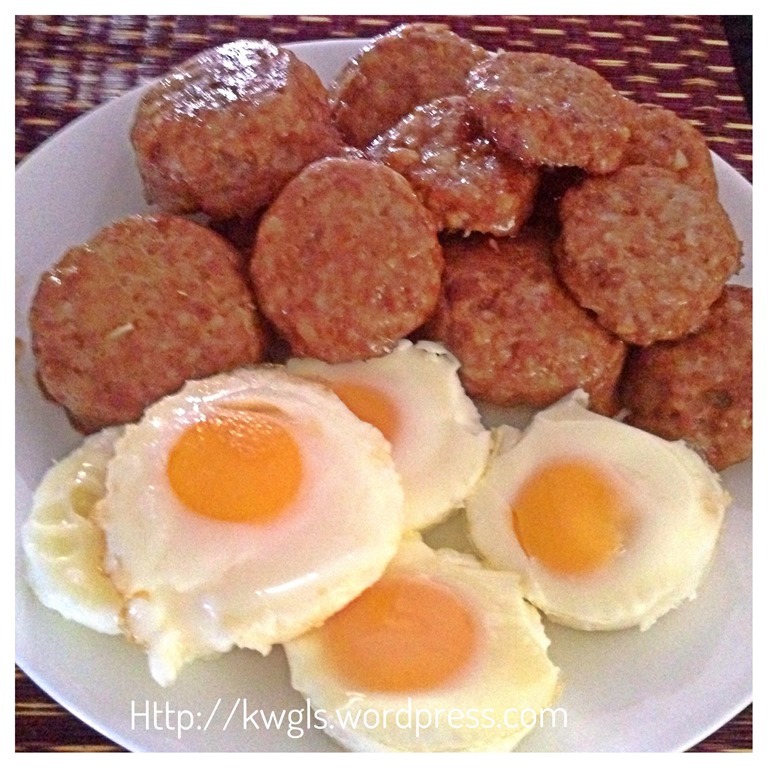 Preparation is extremely simple and I have used an oven to prepare the patties and eggs. Lots of ingredients are optional depending on your preference. Not even a single drop of oil is used. 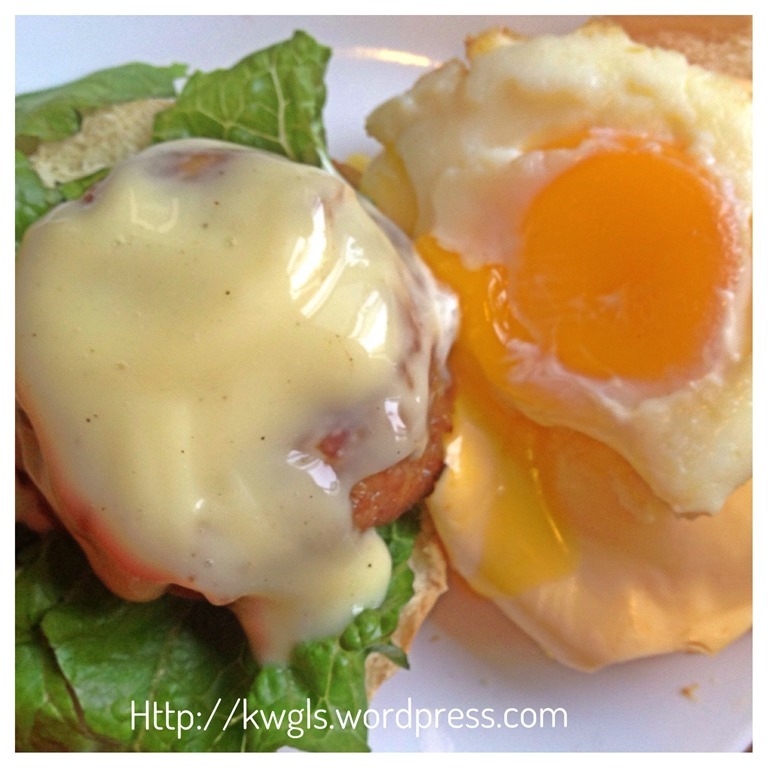 Whether or not it can be termed as a healthy burger will very much depends on the dressing used. 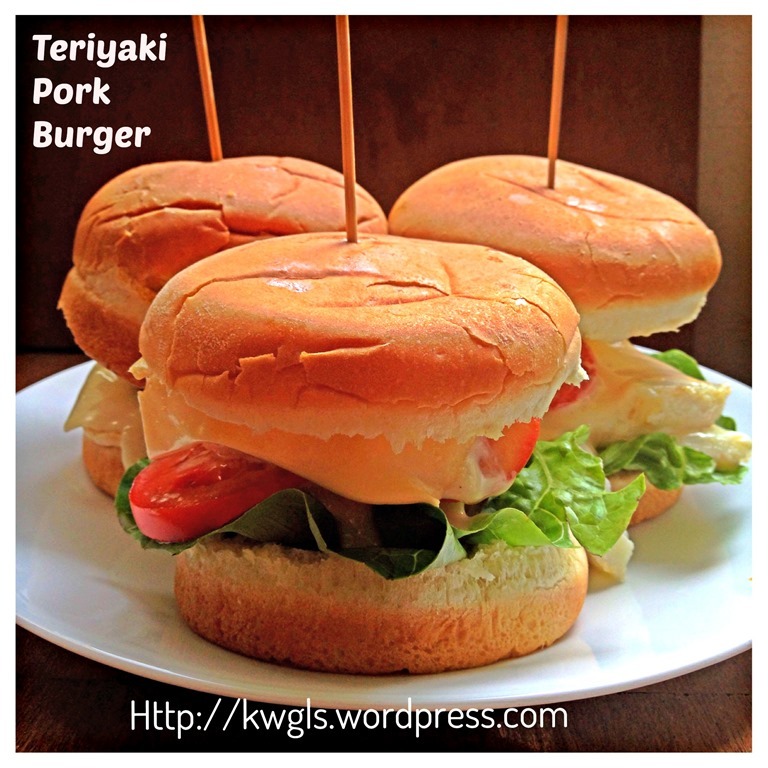 Being an Asian style burger, I have selected mayonnaise dressing for the burger. Therefore, this burger, in my humble opinion cannot be termed as healthy and in fact it had became a sinful burger. As the meat patties are rather big, I have termed this as a “heart attack” burger, a burger which is huge and sinful enough to trigger a heart attack. Haha. 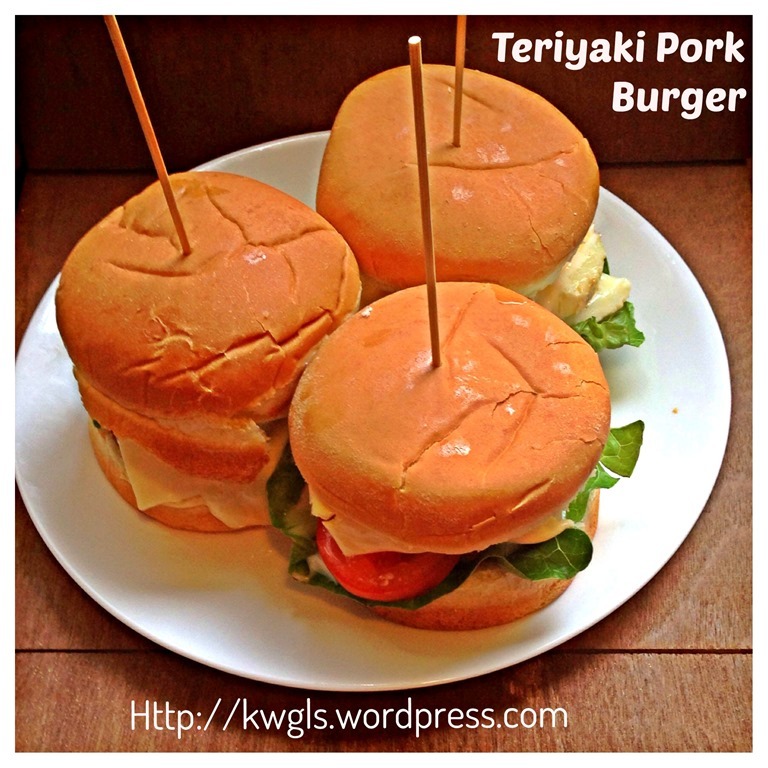 Just have a lighter moment, you may be interested to refer the following articles about burger before you proceed to the preparation. How to eat a burger? Perfect or ideal way to eat a burger! Put all the meat marinating ingredients (except eggs) together in a bowl. Stir until well mixed. Let it marinate for about 30 minutes. 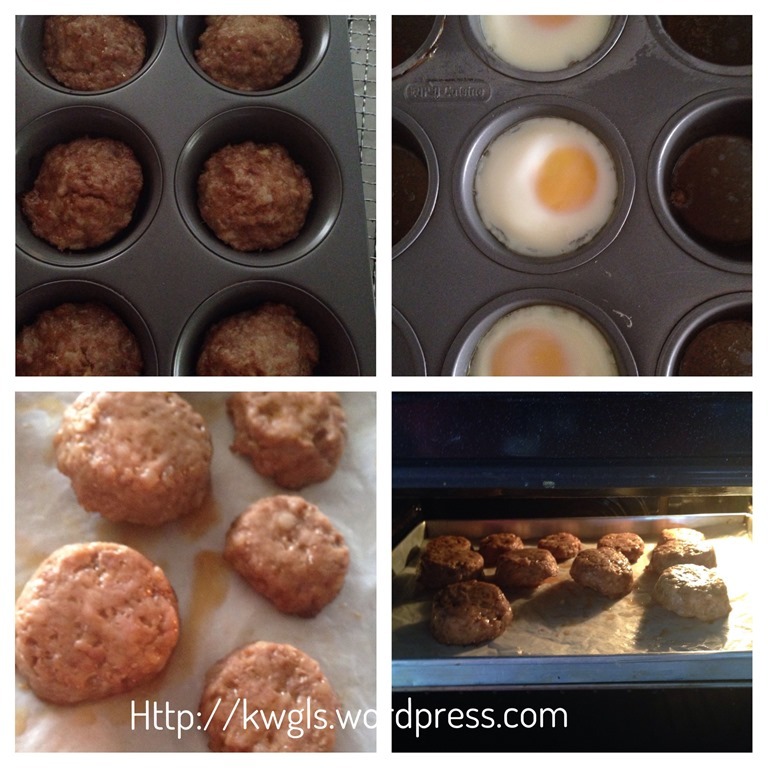 Lightly grease some muffin tins and put the minced meat . Press it hard to make it compact. Meanwhile, crack some eggs in another muffin tray. 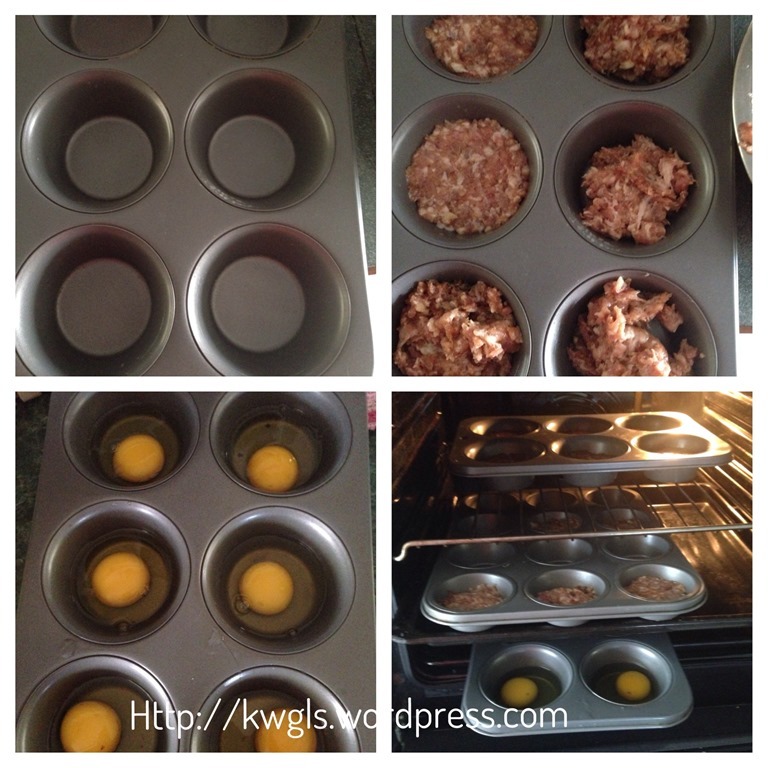 Put the eggs tray in the centre rack whereas the minced meat tray on the top rack. 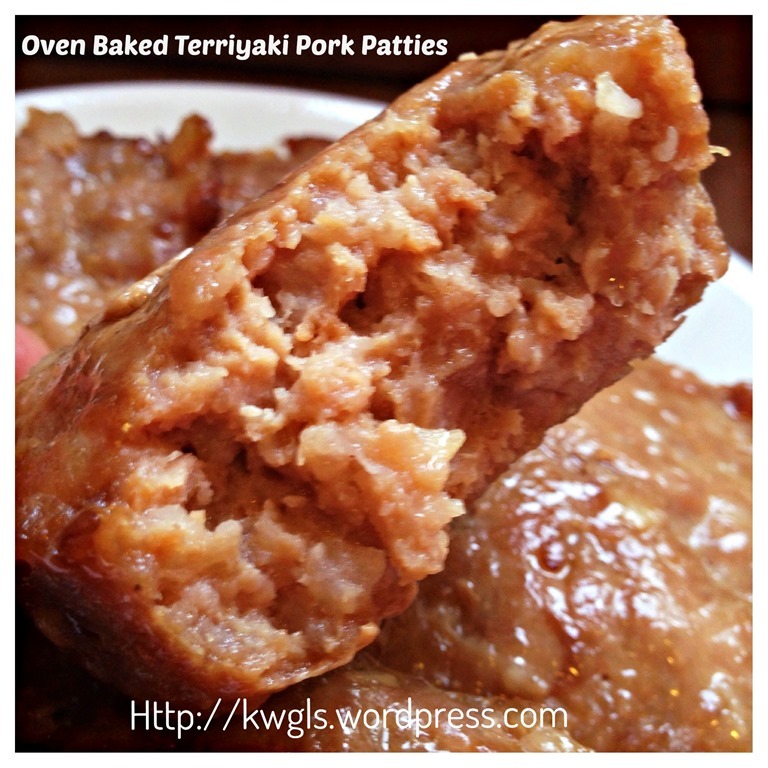 Baked in the oven for 15-20 minutes. For the eggs, after 10 minutes, take out the tray if you want some runny yolks. Otherwise, take out after 15 minutes. 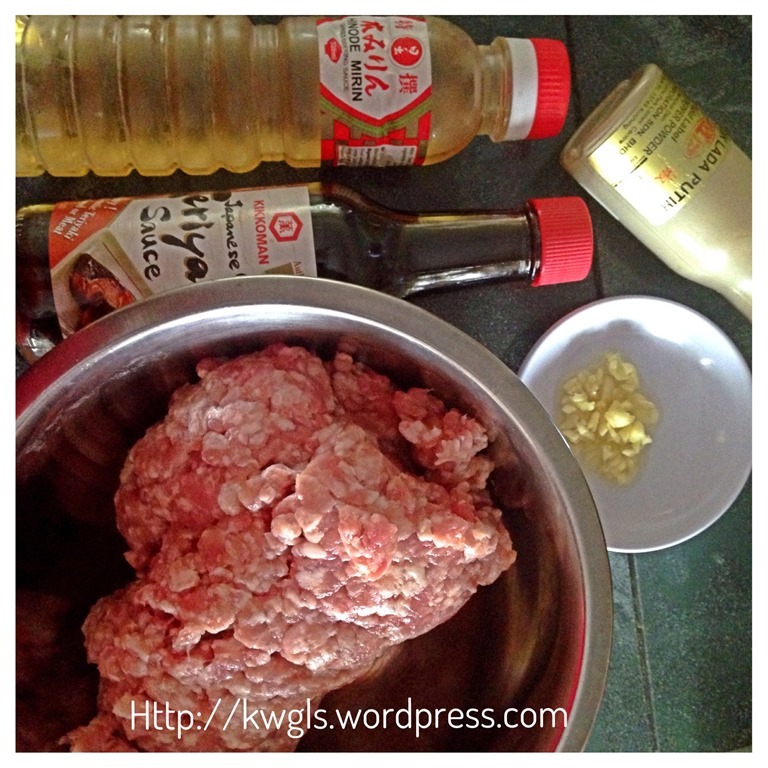 Meanwhile, the minced meats will start to shrink and become patties with lot of meat juices. 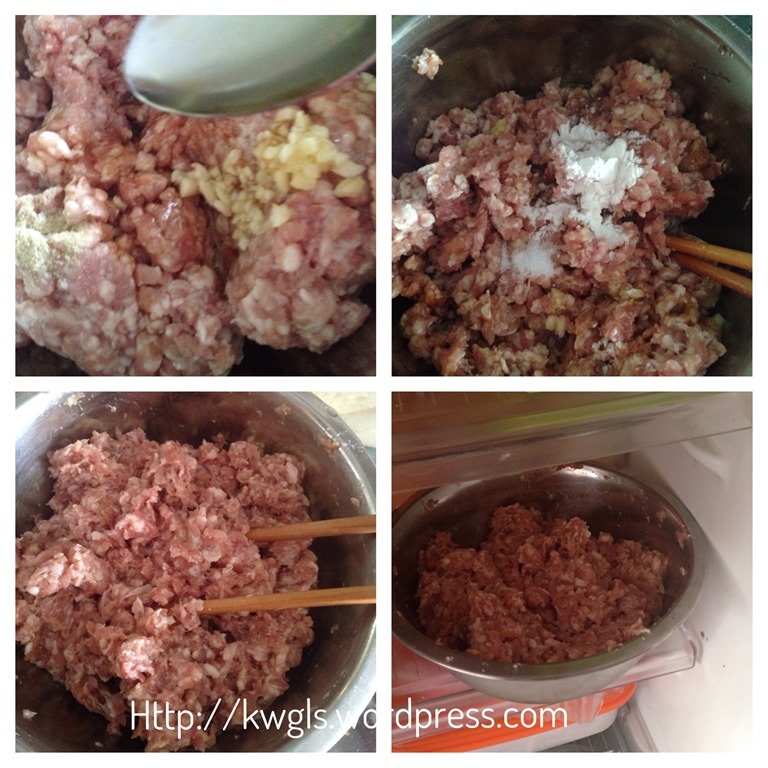 After 20 minutes, take out the minced meat and placed it in a baking tray. Continue baking for another 5-10 minutes or until the surface dries up. If you like juicy and light colour patties, you can bypass this step. In a bowl, place the mayonnaise, condensed milk and some black or white pepper. Stir until well mixed. 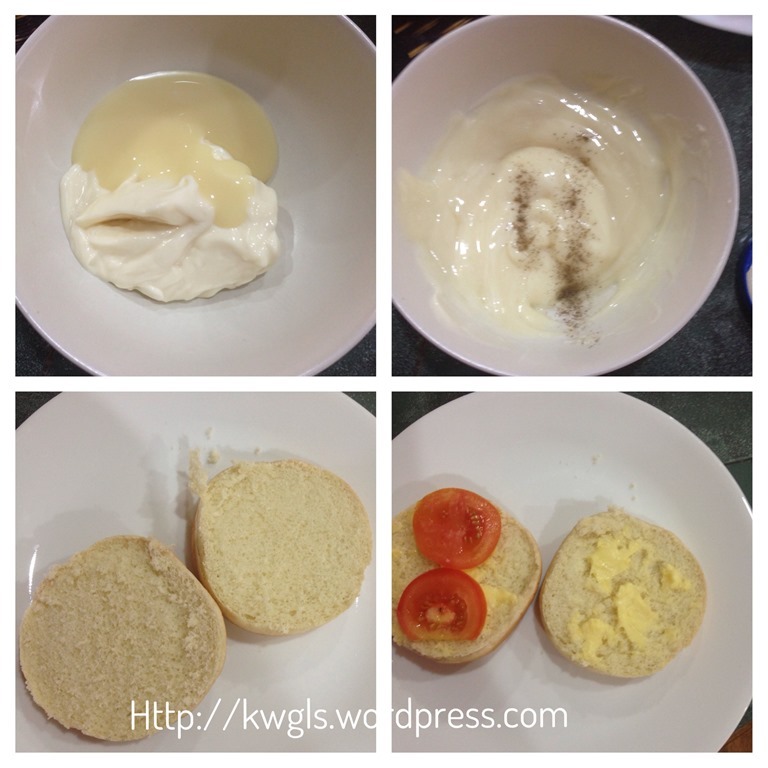 Cut a burger bread into half, spread with some butter both side, put some sliced tomatoes. 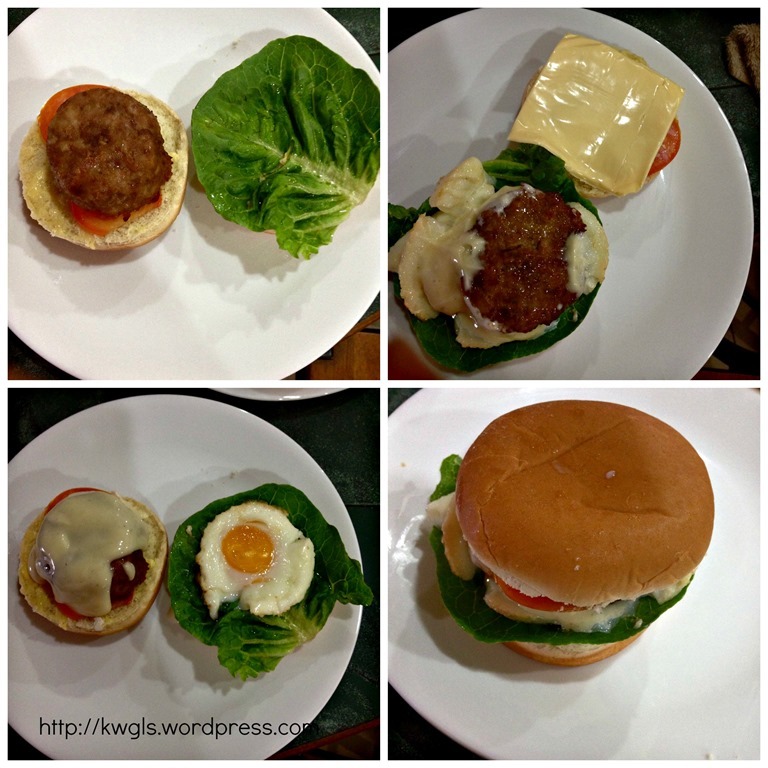 Add a piece of lettuce and cheese and eggs on one side and on the other side, place the meat patty. 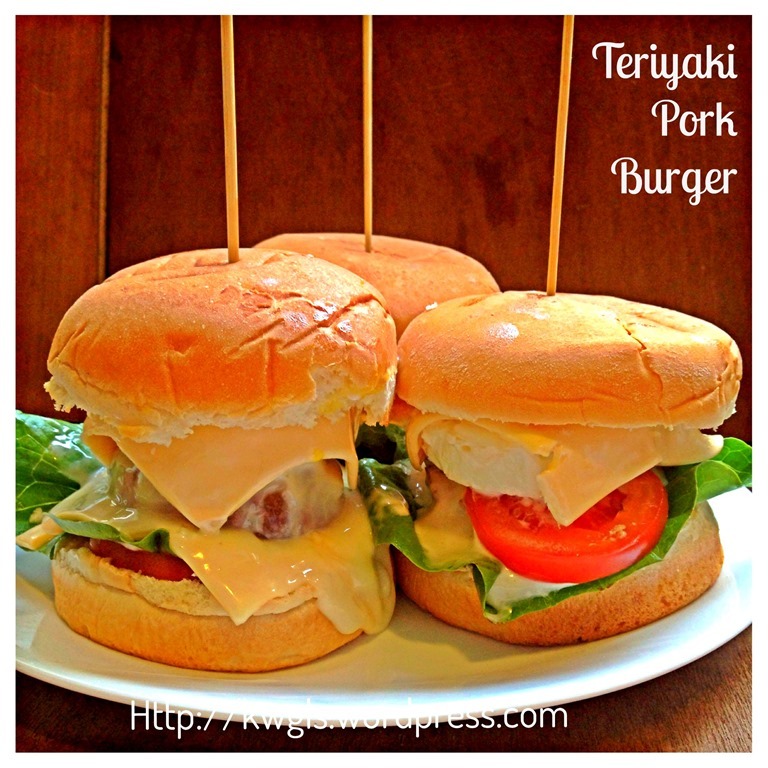 Top the meat patty with generous amount of mayonnaise dressing. Put both sides of the burger bun together and the burger is done. Well, in my humble opinion, there is no right or wrong way of preparing a burger, do feel free to use your own ways to prepare it. 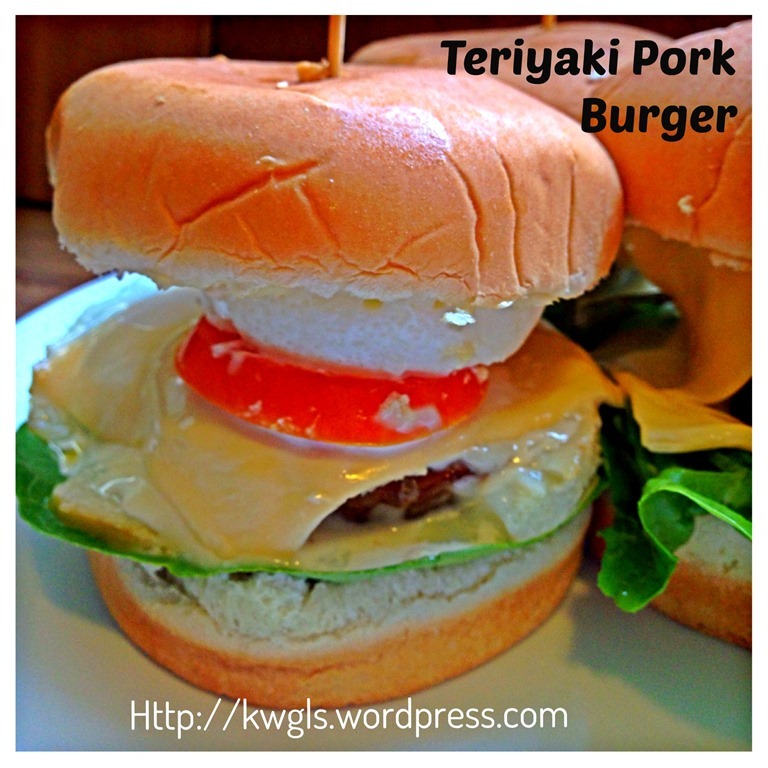 The burger is very “Asian” taste and I should say, I like the teriyaki flavoured meat patties. It is easy to prepare and use very little oils in the preparation. 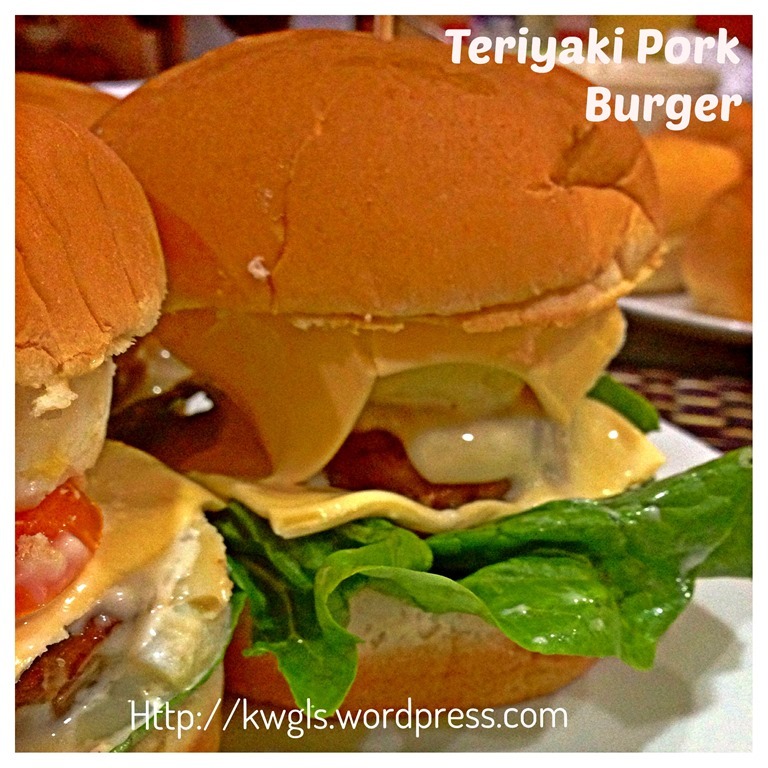 It took me about 1.5 hours to prepare these burgers and I am sure you can do it even faster than me with a little planning..Do give this a try and let me know whether it suits your taste buds. 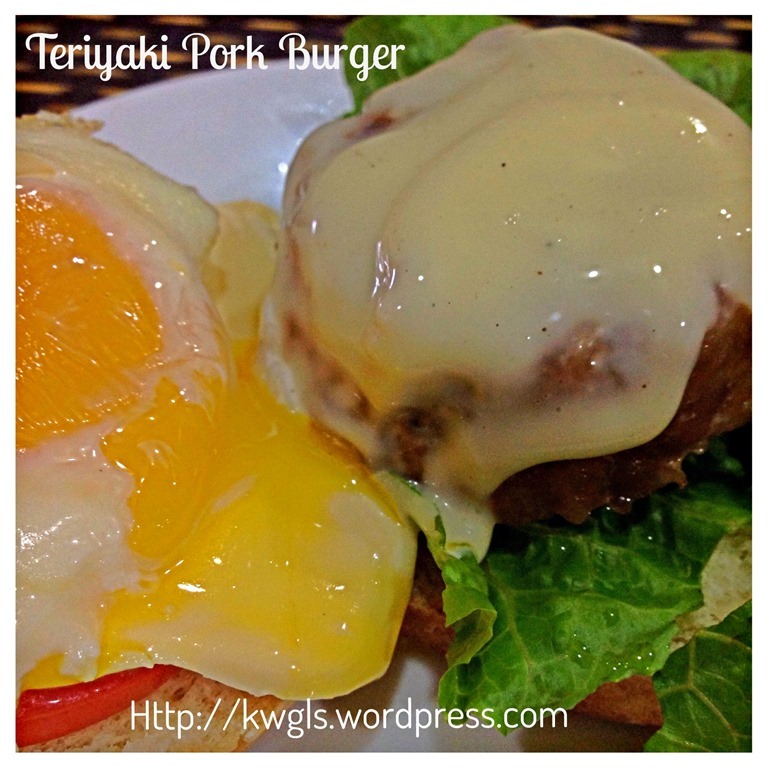 This entry was posted in Food Preparation Series, Noodles, Rice and Others, Western Dish and tagged 8 postaday, GUAI SHU SHU, Guaishushu, kenneth goh, Teriyaki pork burger. Bookmark the permalink. 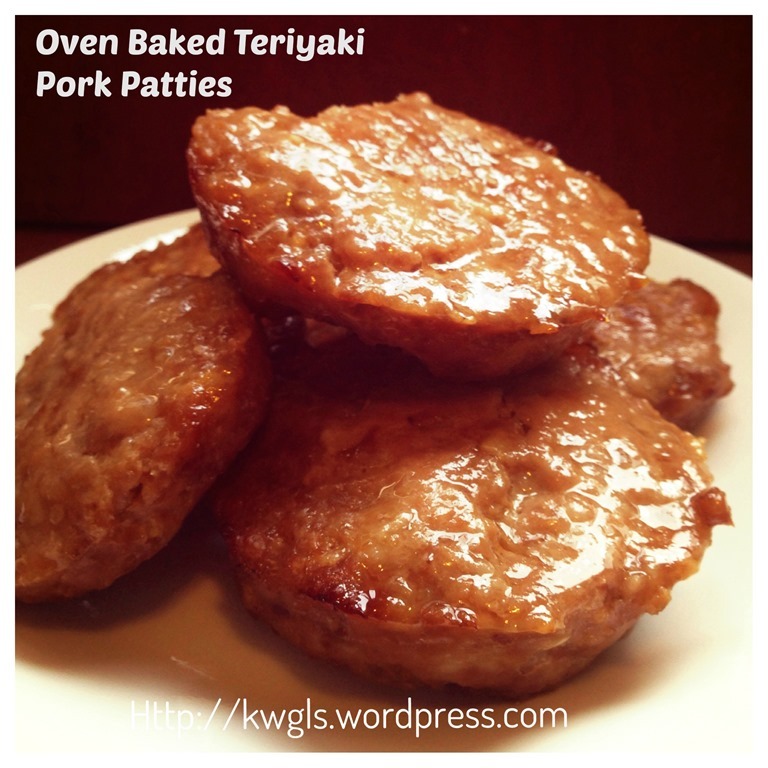 Hi Kenneth, thanks for sharing this lovely recipe. 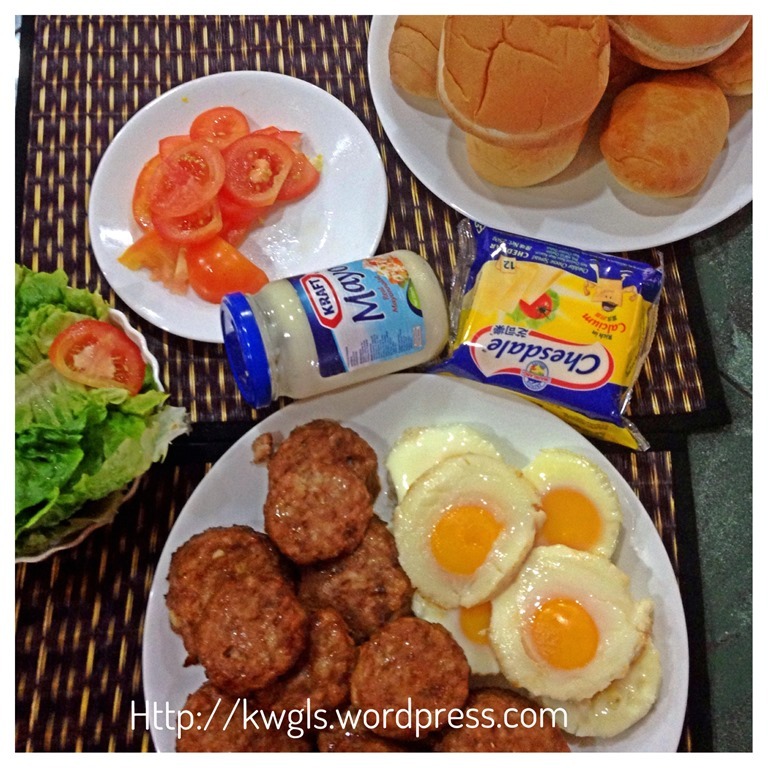 I like the idea of baking the meat patties and eggs. hi Kenneth, may I know – 3 tablespoons of Japanese rice wine and 3 tablespoons of Mirin? 1 1/2 tablespoons of Japanese rice wine and 1 1/2 tablespoons of Mirin? Either 3 tablespoons of Japanese rice wine or 3 tablespoons of Mirin?